Museum Ferragamo, The Costume Gallery, The Medici Treasury, The Boboli Gardens, Ancient Giacosa Coffee Shop and The Uffizi Gallery. 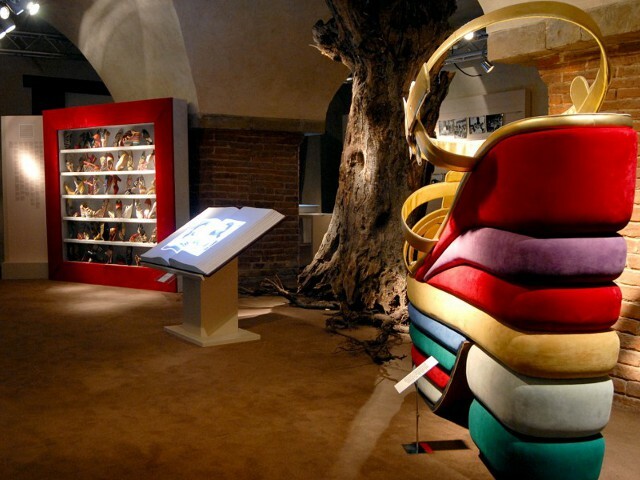 Tour presentation: this tour includes a visit to the Ferragamo Museum, the Costume Gallery in Pitti Palace, the Medici Treasury, the Boboli Gardens and the Ancient Giacosa Coffee Shop. The museum documents the entire span of Salvatore Ferragamo’s career, from his return to Italy in 1927 to 1960 the year he died. It highlights his technical and artistic skills which, through his color choices, the creativity of the designs and use of innovative materials made a fundamental contribution to the growth and establishment of Made in Italy. The Collection is also enriched by the footwear production subsequent the death of Salvatore Ferragamo, down to the present day. The collection comprises six thousand items including costumes dating from the 16th to the 20th centuries, theatre costumes and accessories. 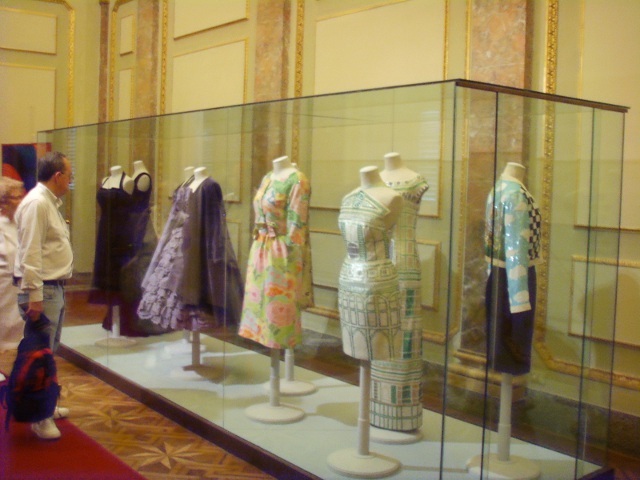 It is the only museum of the history of fashion in Italy and one of the most important in the world. A selection is exhibited in rotation every two years. The Museum houses the important Medici’s Treasure: the semi precious stone vases of Lorenzo the Magnificent, the cameos of Cosimo I, the rock crystal objects of Francesco I, the ambers of Maria Maddalena d’Austria, the wonderful ivory vases of Mattia de Medici and the famous jewels collection belonged to Anna Maria Luisa, the last member of the Medici Family.The Museum is named after the silvers of the Salzburg Treasure, belonged to the Bishops of Salzburg and brought to Florence by Ferdinand III of Lorena in 1815. The Museum also houses an important collection of jewels made between the 17th and the 20th century by the most important Italian and European workshops. They were originally designed for the Medici and are one of the earliest examples of the Italian Garden which later inspired those of many European courts. The gardens extend over a vast area forming an open-air museum with antique and Renaissance statues, grottoes and large fountains. Exploring its numerous and varied walks one is able to evoke the spirit of life at court and to enjoy the experience of a garden which continues to renew its natural cycle in keeping with the tradition of its past. Since 1815, a meeting place for a refined and chosen clientele like Prince Ruspoli and other nobles like della Gherardesca, Torricelli, and Corsi, the Caffè Giacosa became the center of Florentine society, a refined and prestigious "show window" for aristocrats and the elite. After a painstaking restoration faithful to the original structures, Roberto Cavalli, a born Florentine bound to tradition, reopened Florence's historic "drawing room", giving back to the city one of its famous cafès. The most important museum of the city and one of the most famous in the world. The Uffizi Gallery houses some masterpieces by important italians artists such as Botticelli, Michelangelo, Piero della Francesca, Paolo Uccello and Leonardo. 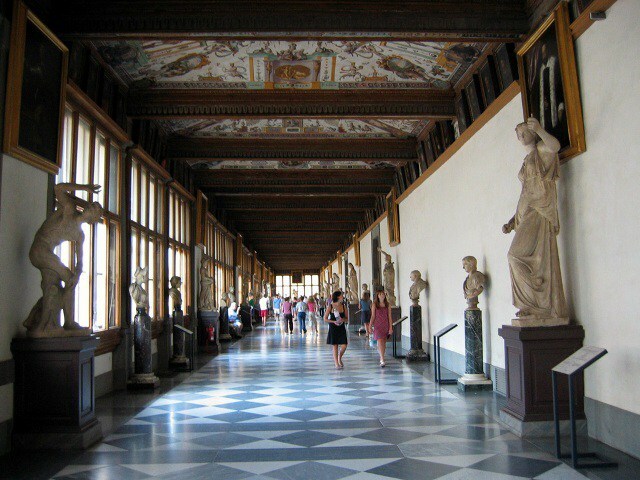 Programme: meeting with the guide: Uffizi Gallery. We will proceed to the Museum Ferragamo and then to Palazzo Pitti for the visit of the Costume Gallery, of the Medici Treasury and of the Boboli Gardens. The visit ends in the Boboli Gardens. This tour also includes an aperitif at the historical Giacosa Coffee Shop, nowadays the headquarters of the Roberto Cavalli’s Company. Depending on the season this tour could start from Palazzo Pitti and end at Museum Ferragamo.